There are two truths I think we all hold to be self-evident: all men are created equal, and Usher cheated on TLC's Chilli then wrote his album Confessions about it. Now, ten years later, we're discovering that everything we've held near and dear to our hearts has been a lie. 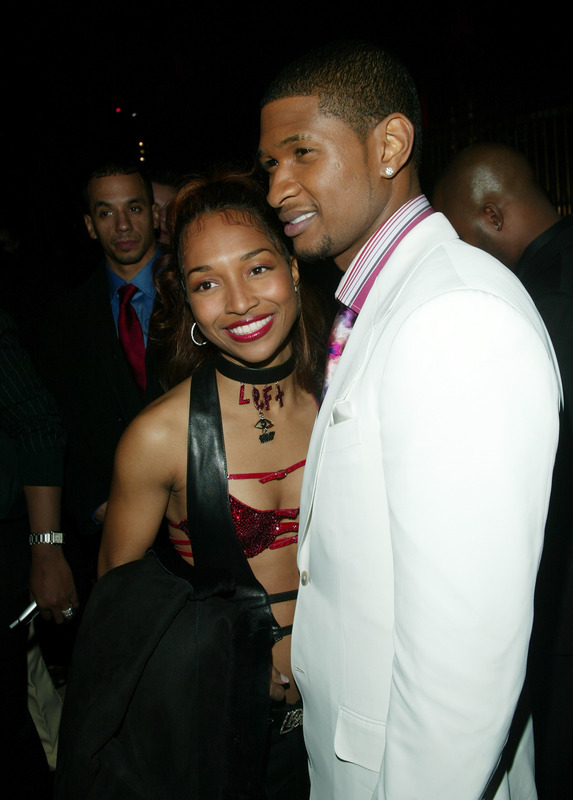 In an interview with Us Weekly, Chilli says Usher never cheated on her and that Confessions wasn't about their breakup. In fact, it wasn't personal to Usher or Chilli at all — the 2004 hit song "Confessions Part II" off the album was about a friend of theirs. We were together when he recorded that album. All of those songs on Confessions, that was about Jermaine Dupri's situation. Usher was just singing it. But people kind of bought into it, it was just the timing of our breakup when the album came out. I think I can speak for an entire generation here and say that this changes everything. We all thought that the "chick on the side" who had "one on the way" was a mistress Usher had knocked up while he was dating Chilli. If Usher was going to tell, he was going to tell it all (he damn near cried when he got the phone call!) and we all thought the song detailed just how he revealed to poor, innocent, beautifully be-abbed Chilli that he'd done something wrong. People assumed that album was about us, but it was not. And Usher and I weren't oil and water. We broke up because I guess it was that time or whatever ... He was that real love for me. Yeah we did! And I can't believe it took you ten years to clear up that misconception! Listen, as much as I'm happy to hear that Usher didn't cheat on Chilli, I feel like I've been lied to for the better part of a decade. We listened to Usher's album because we thought it was so personal, and so real, but now that we've found out that it was actually Dupree's story we were being told, I'm not that into it. I feel a little cheated and hey, since everyone's into shattering worlds right now, here's a confession of my own: If the Vh1 TLC biopic on Monday night doesn't mention the fact that Confessions wasn't about Chilli, I'll be pissed. Cue up the below, please.